Last August (which feels like an eternity ago, to be honest), I blogged about Dan's solo flight in the T-6. 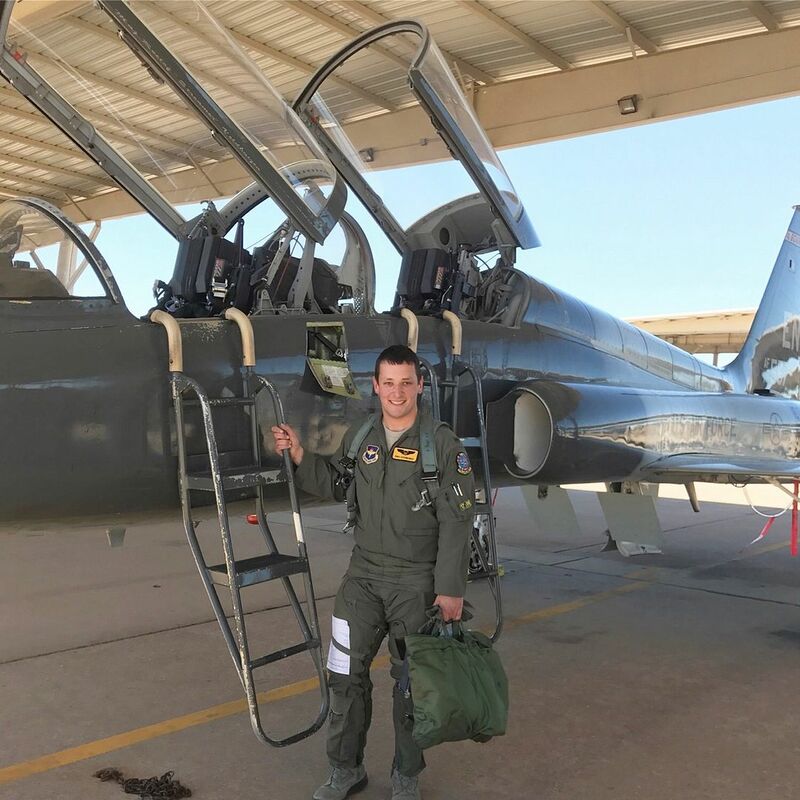 He has now soloed in the T-38 and is well on his way to completely pilot training at ENJJPT (Euro-Nato Joint Jet Pilot Training) at Sheppard Air Force Base. He's such a stud, and I am SO proud of him. He is putting in a lot of hard work and long days, but it's all for the best for him and our family, and one day, when this is all over with, it will be worth it! Unfortunately for his solo, no one was available to take Annabelle and me out to the flight line like we were able to for his T-6 solo. Everyone was busy flying at the same time that day, so it just didn't work out. But I made sure he snapped a photo afterward anyway! The T-38 is a lot faster (and more fun, according to Dan) than the T-6. He has been having a blast flying it. Since his solo, he has also passed his first check ride! More to come, though! Pilot training certainly isn't for the faint of heart. And I can definitely see why there are so few married student pilots and even fewer with children. Dan is gone ALL DAY five days a week. He gets to see Annabelle for about an hour a day ON GOOD DAYS. We're sacrificing so much time with him right now, and the single parenting gig isn't easy. BUT we try to make up for it on the weekends. Annie is SO excited when she gets to see him and play with him. Since many people have asked what drop night is, I'll give a quick run-down. Basically, all of the student pilots in one class (about 25) will receive their assignments (aka what plane they'll be flying for their Air Force careers, along with their first base) in a public setting on base on a Friday night. Drop nights happen every six weeks at Sheppard, and they're SO much fun. One at a time, the student pilots take turns standing up in front of everyone and learning their entire future right along with the hundred of people filling the room. It's exhilarating, nerve-racking, and crazy all at once. There's free beer involved and lots of screaming! It's a really fun tradition... but just know that my own husband is the one in the hot seat, I'm going to be one big ball of nerves. He has just under 11 weeks to go until it's his drop night! Only one more takes place before his. AAHHHH! I know, I know. I'm WAY behind again. Blogging just hasn't sounded enjoyable lately for whatever reason. But I know deep down that I want to document our lives (especially Annabelle updates!) so we can read back over them someday. 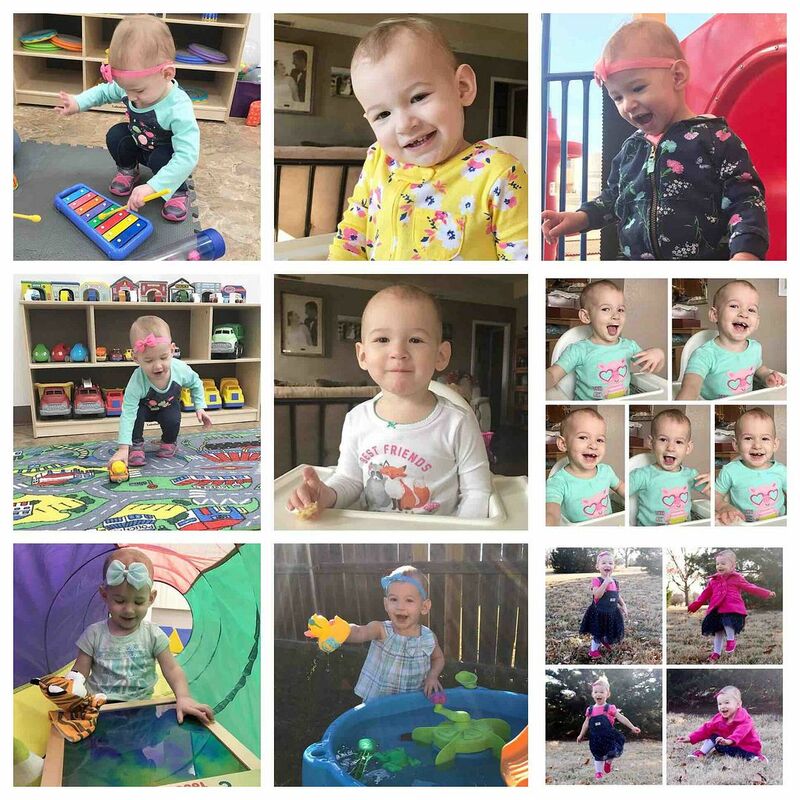 That's why I am sharing her 18 month update today completely out of the blue. I haven't posted in over a month, and then I show up just to talk about my child. Typical, right? Ha - sorry! 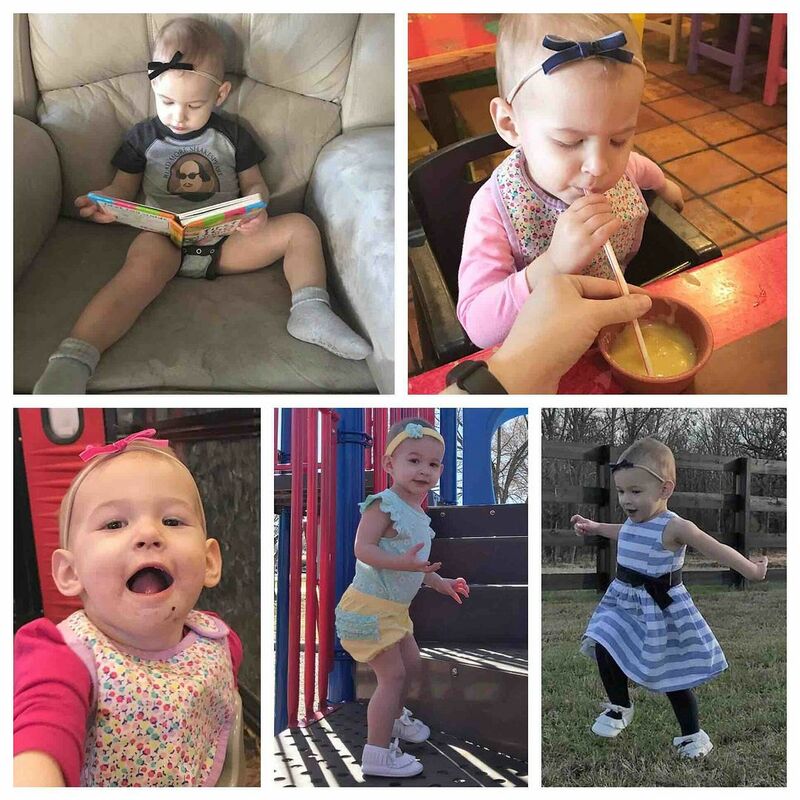 Annabelle has grown quite a bit since her last update at 15 months old - she is now 33 inches tall and weighs 22 pounds! She is tall and skinny, just like her mama used to be. Now, I'm just tall... and not so skinny. 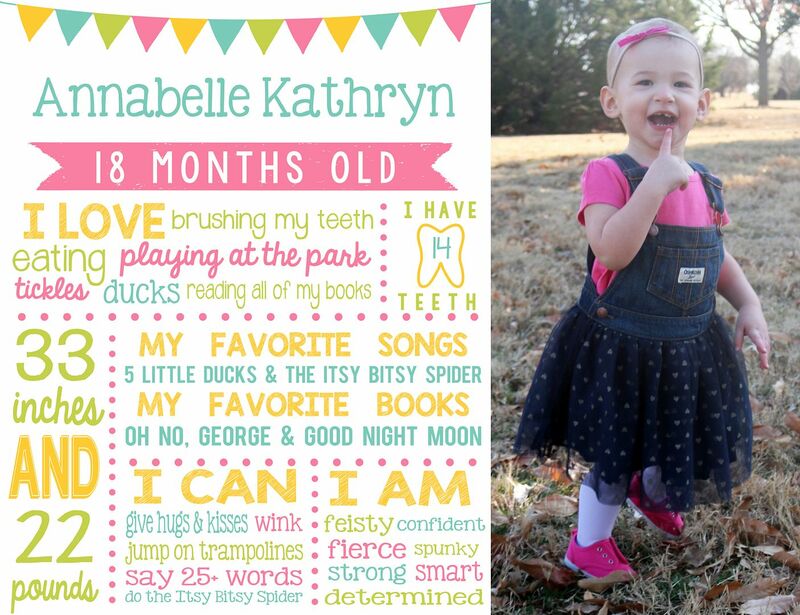 She now has 14 teeth (okay, actually 15, as another one has popped up since her actual half birthday), and she is as feisty as ever - and we LOVE it! 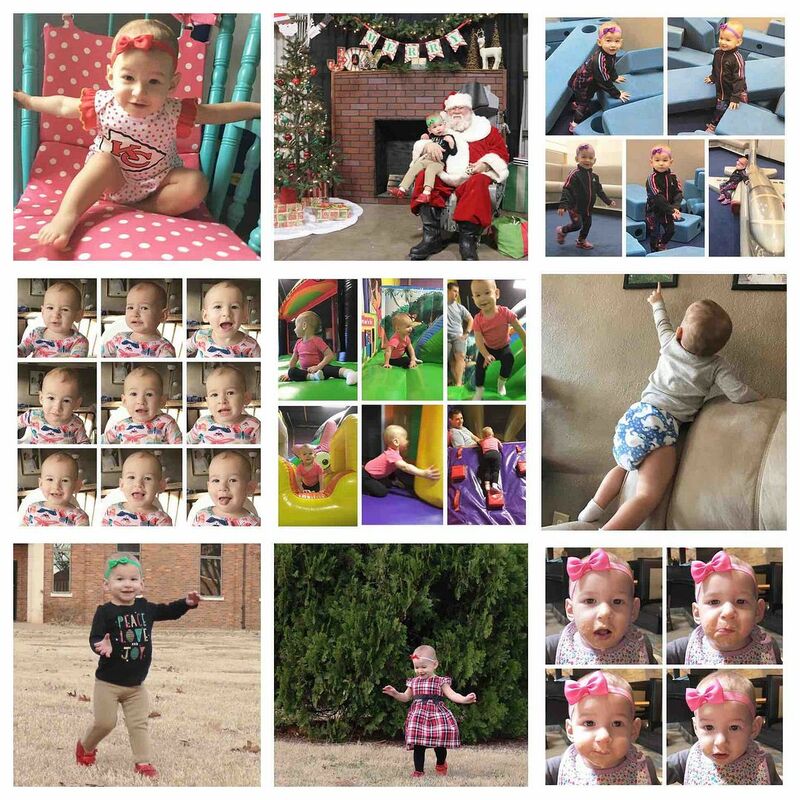 Since her last update in December, Annabelle has traveled to Kansas City and Joplin to celebrate Christmas, San Antonio for her dad's centrifuge training, and Dallas for another wedding (Nate and Margot). She went to the San Antonio Zoo (her 4th zoo!) and has exploded with words! Her vocabulary grows daily, and right now, she's up to about 30 words she uses pretty regularly (but not always on demand). Annabelle still runs constantly - she is nonstop motion. She is still obsessed with all things duck and Daniel Tiger, and she is really starting to love owls as well. She can count to three, and she is wearing mostly 12 and 18 month clothing. It is such a privilege being Annabelle's mama. She is ornery and stubborn, but she has such a big heart as well. She loved fiercely, and she gives the best hugs and kisses. She is my little shadow, and I wouldn't have it any other way! 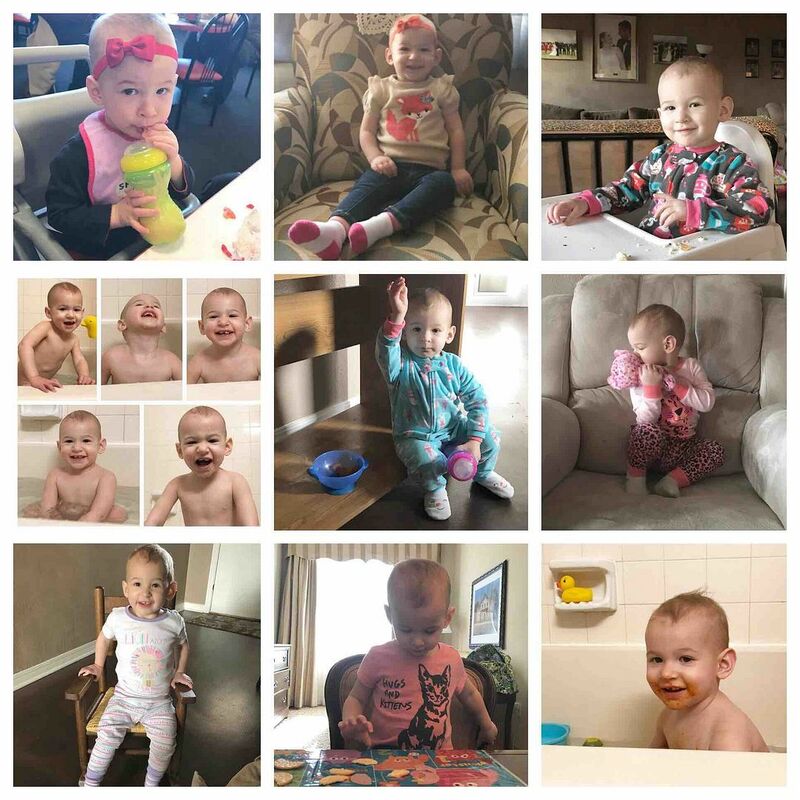 Next Annabelle update will be her 21 month update in June! How?! HOW?! My girl is growing up way too quickly.